Swerve 3 is one curvy pillow! Or is that two? Let’s call it 2-in-1 because it is reversible. Another addition to the Swerve family. Fun and funky organic shape in green and tan brocade. This pillow has a hand-sewn closure. So weird and fun. 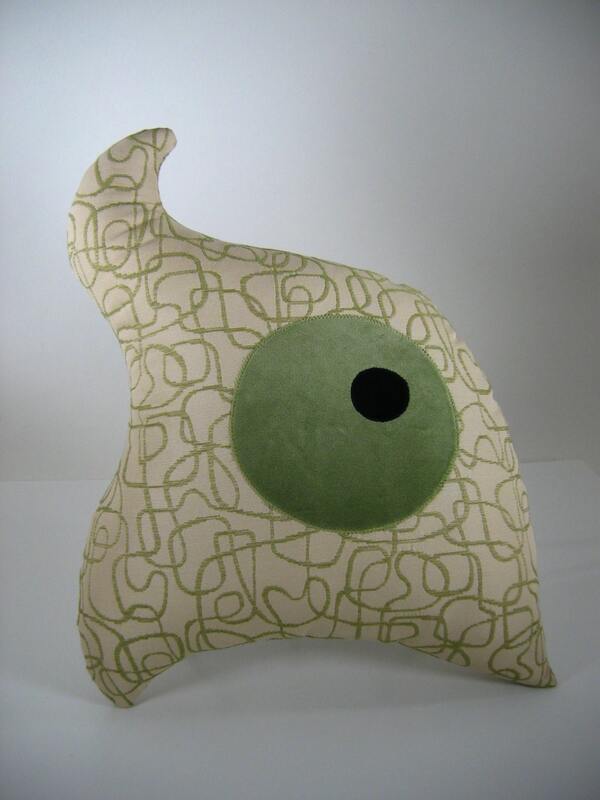 Love this mid mod pillow for our mid mod home! !